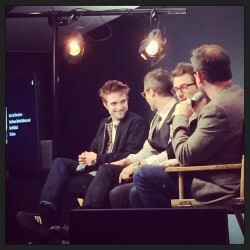 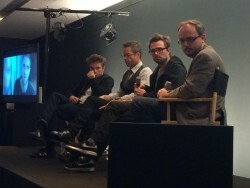 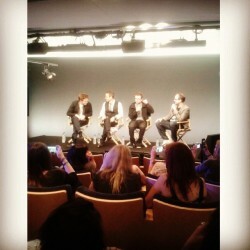 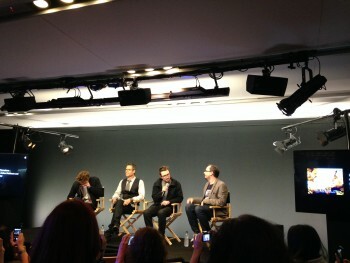 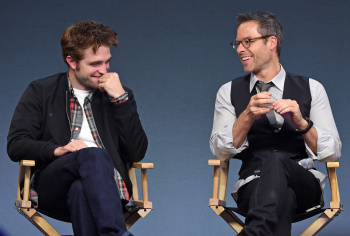 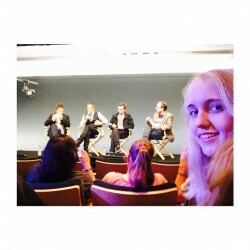 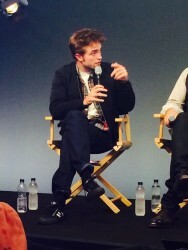 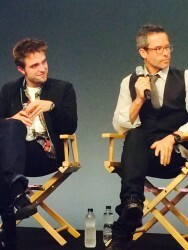 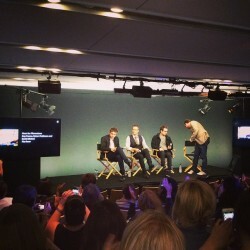 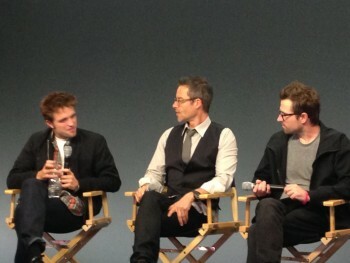 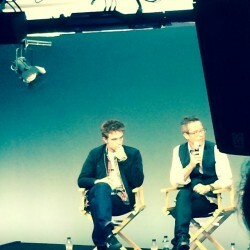 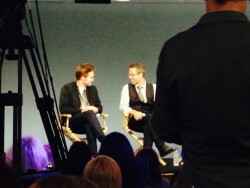 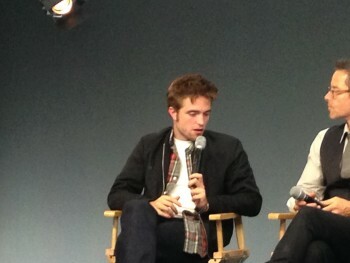 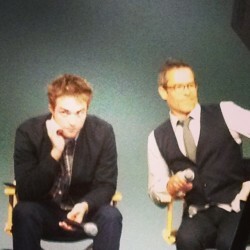 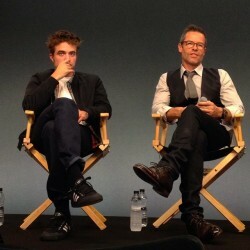 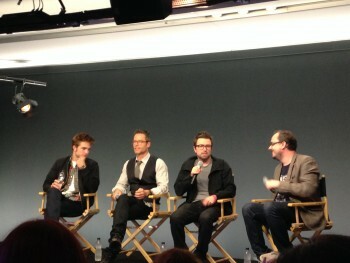 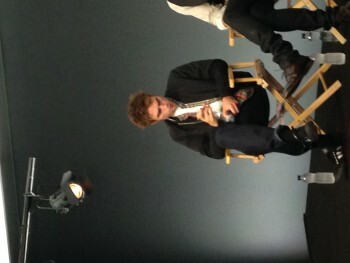 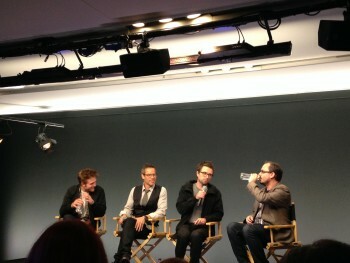 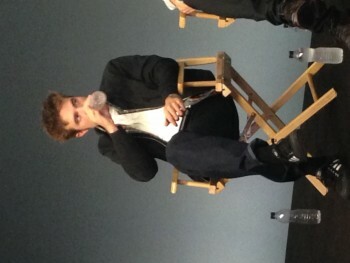 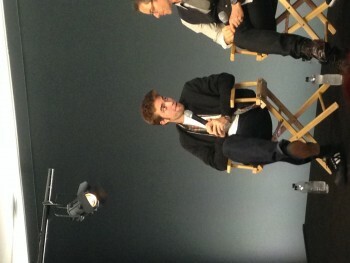 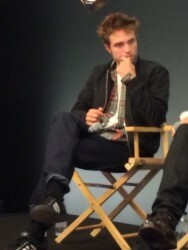 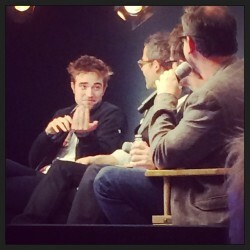 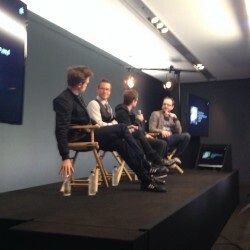 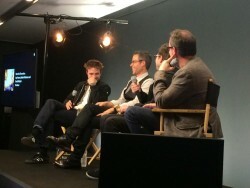 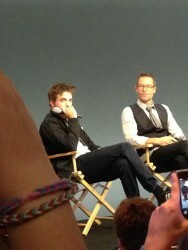 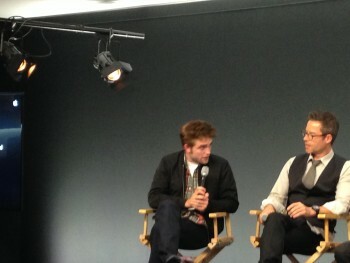 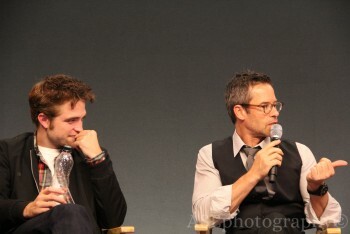 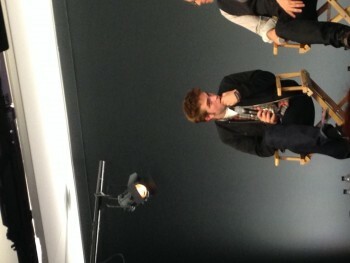 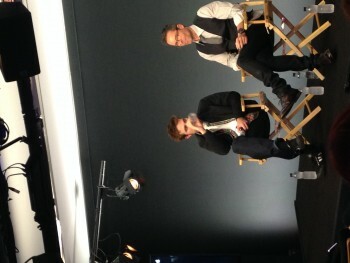 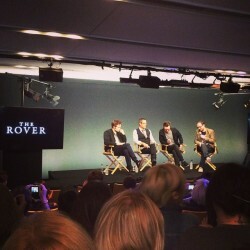 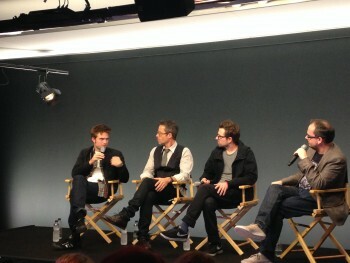 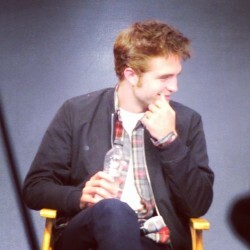 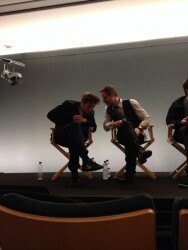 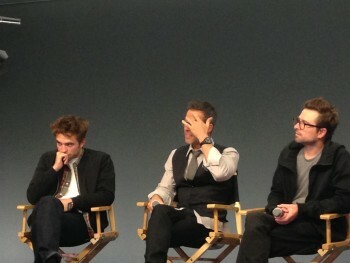 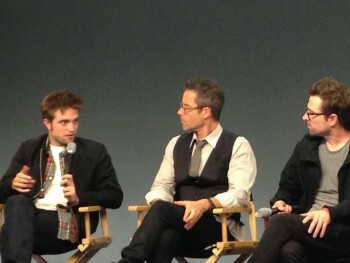 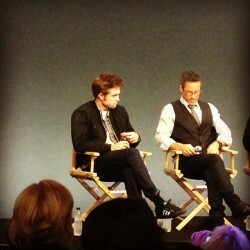 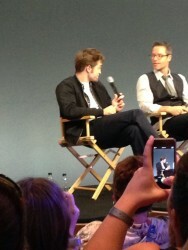 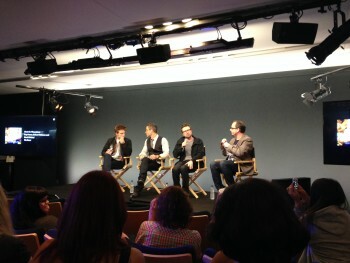 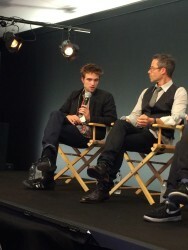 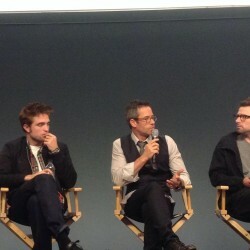 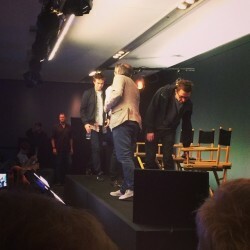 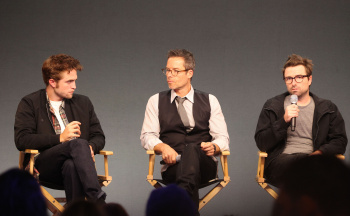 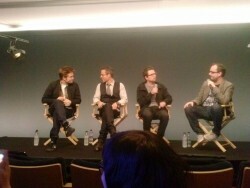 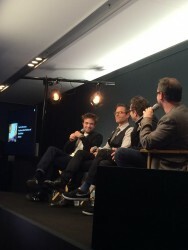 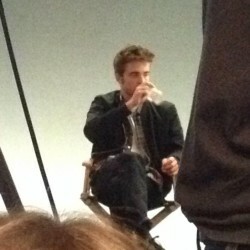 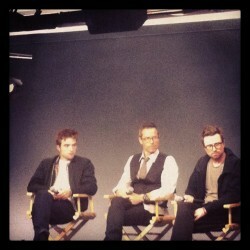 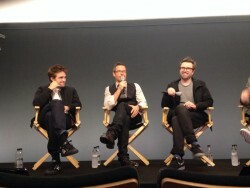 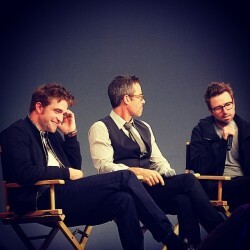 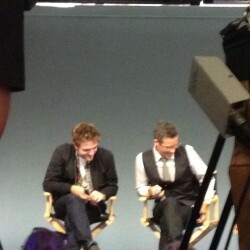 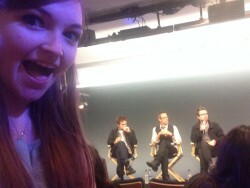 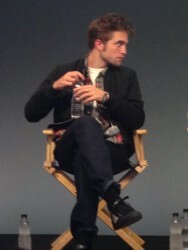 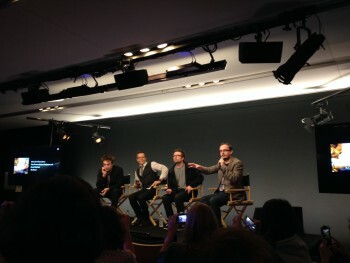 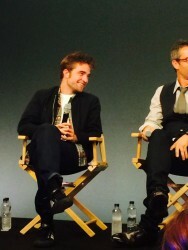 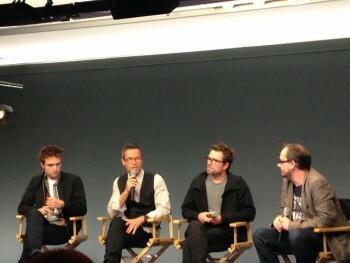 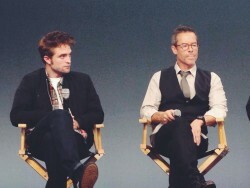 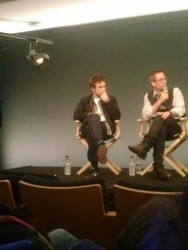 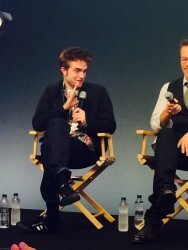 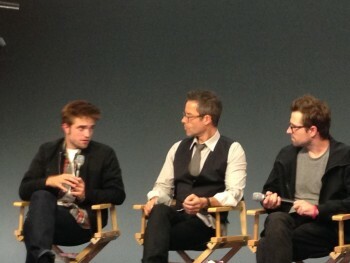 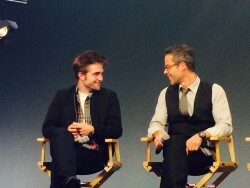 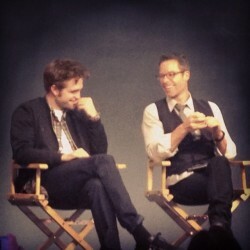 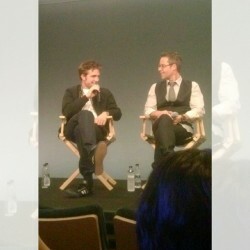 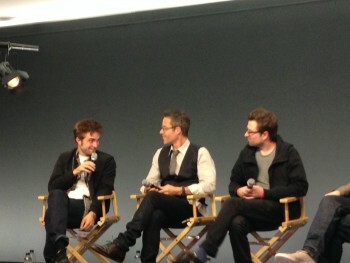 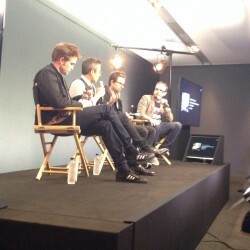 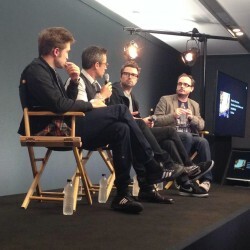 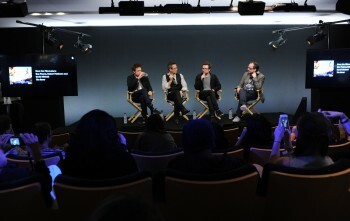 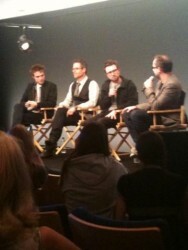 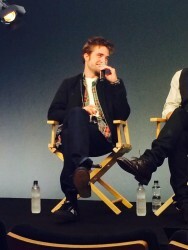 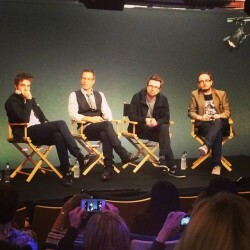 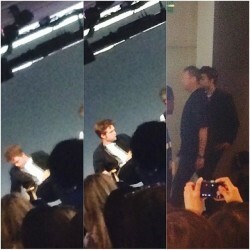 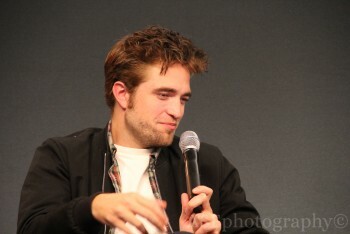 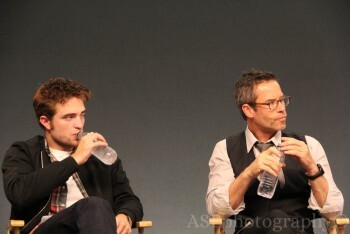 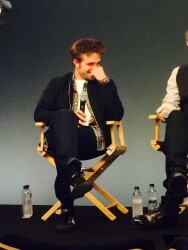 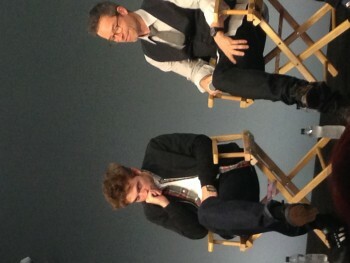 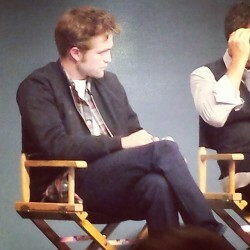 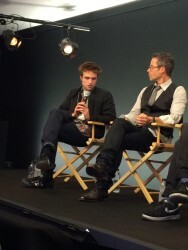 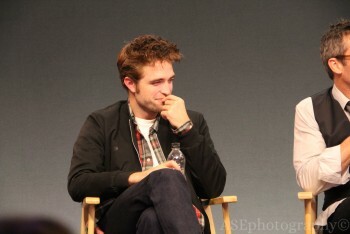 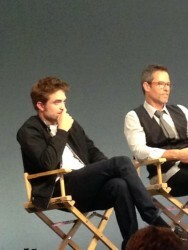 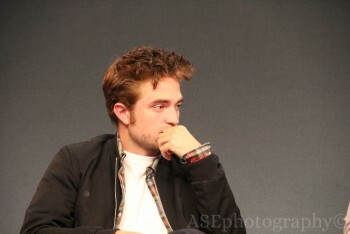 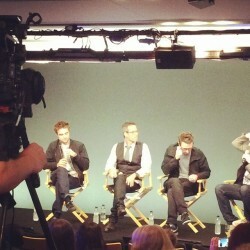 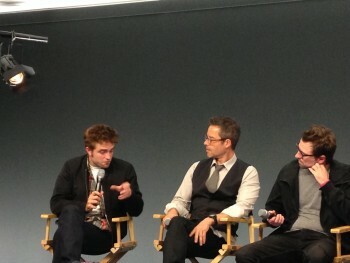 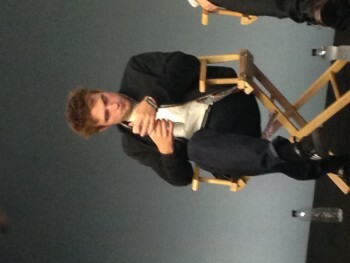 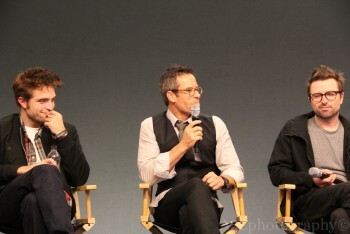 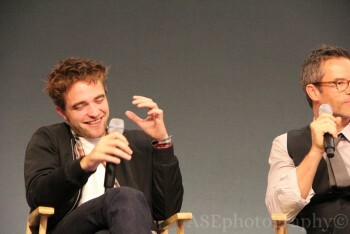 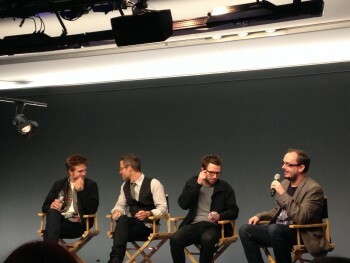 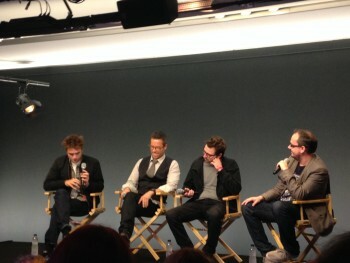 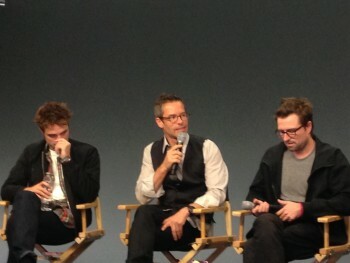 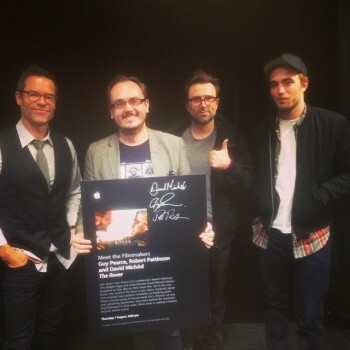 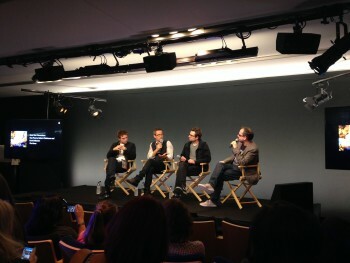 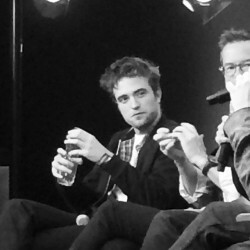 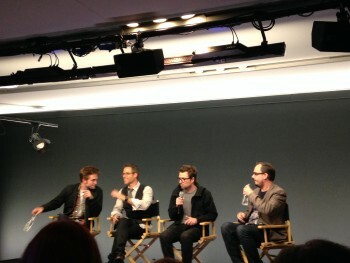 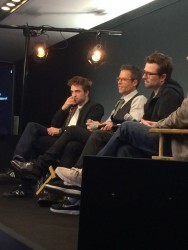 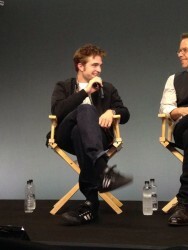 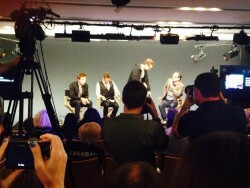 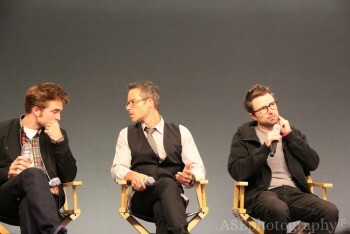 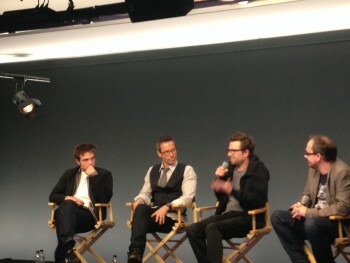 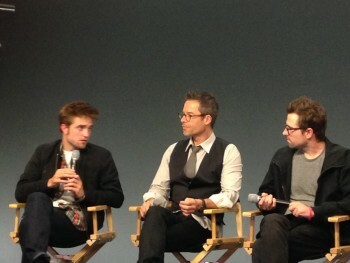 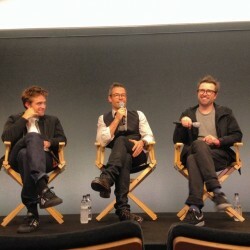 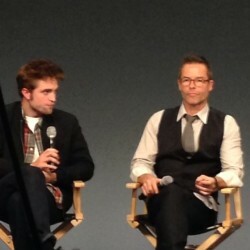 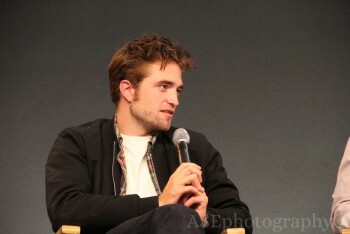 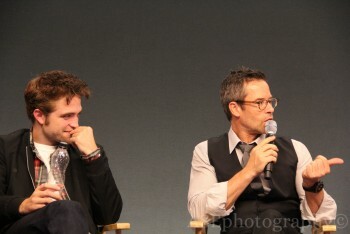 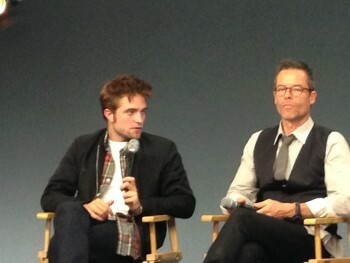 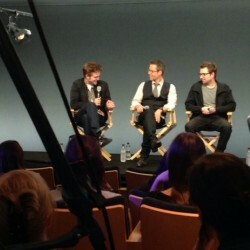 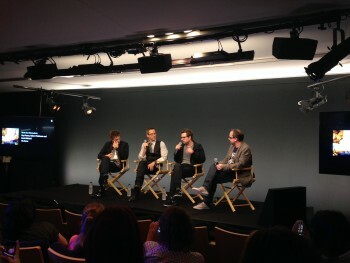 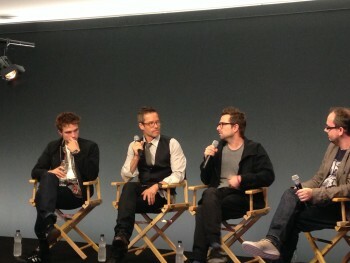 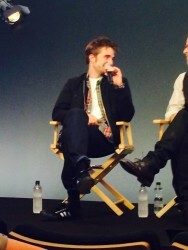 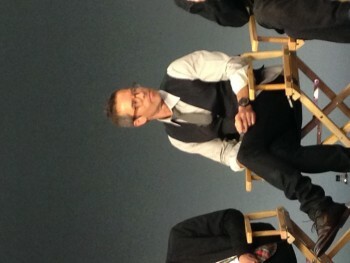 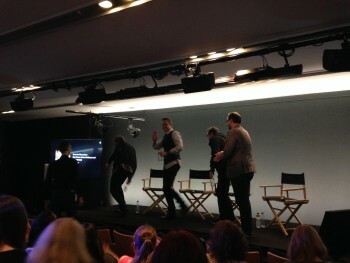 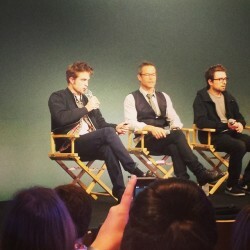 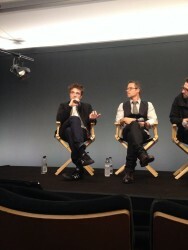 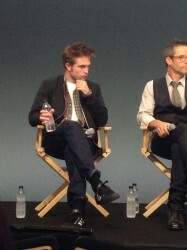 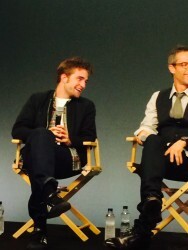 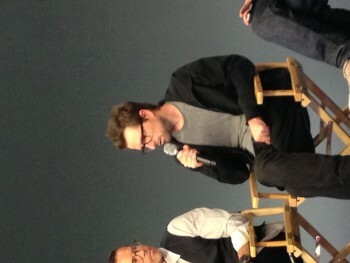 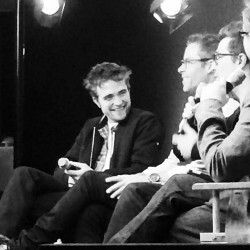 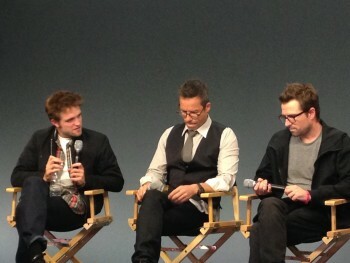 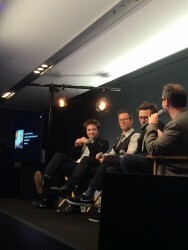 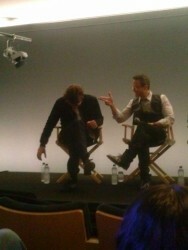 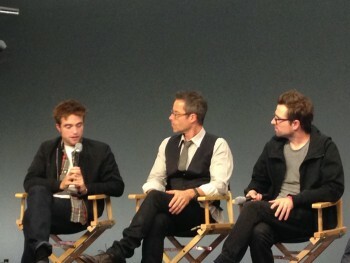 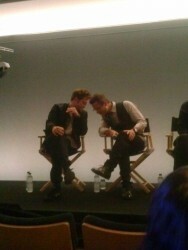 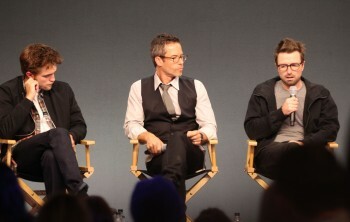 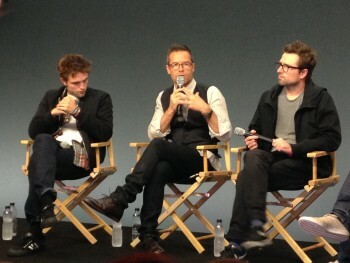 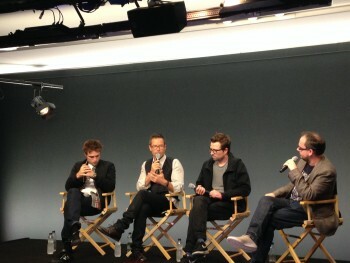 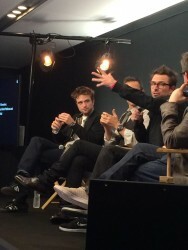 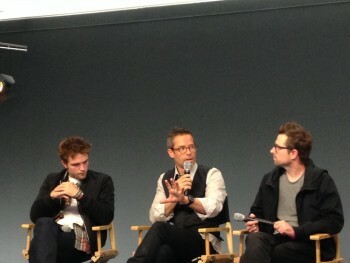 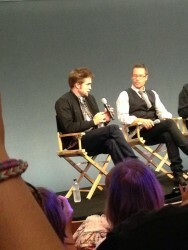 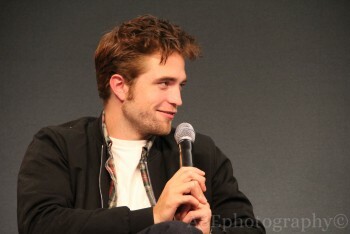 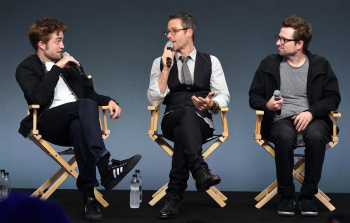 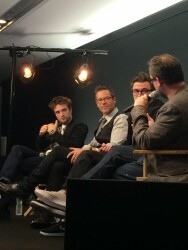 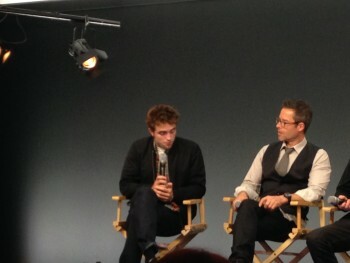 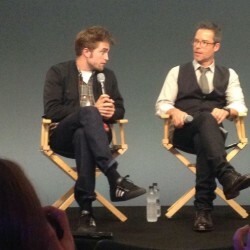 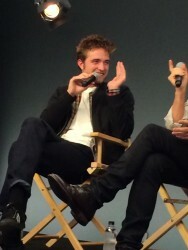 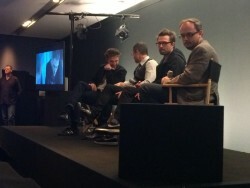 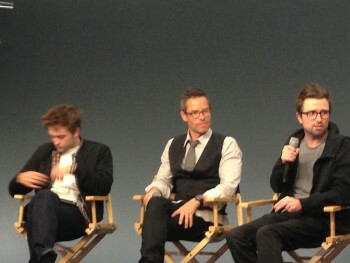 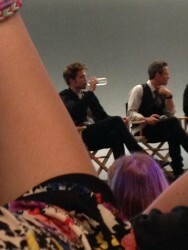 Rob, Guy and David attended the 'Meet the Filmmakers' Q&A at the Apple Store today. 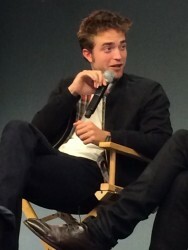 ENJOYED VERY MUCH ALL YOUR POSTS! 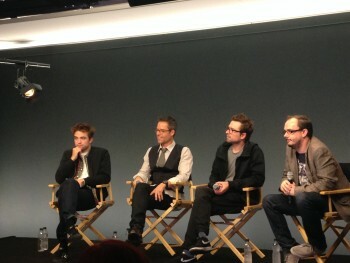 THX LADIES!!! 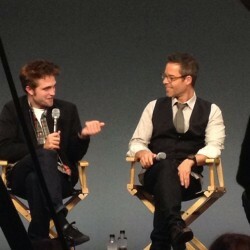 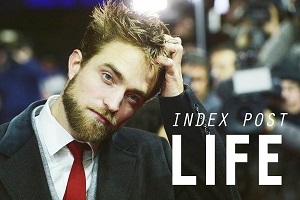 WAY TO GO ROB!!! 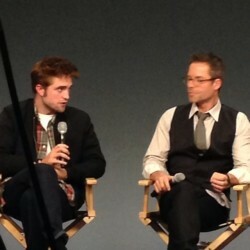 Thanks rpl! 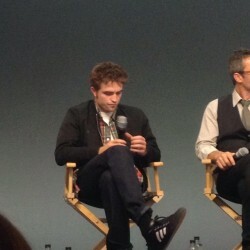 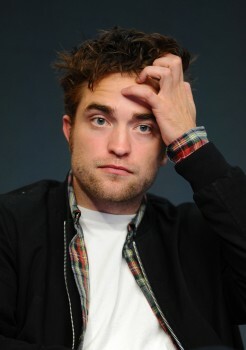 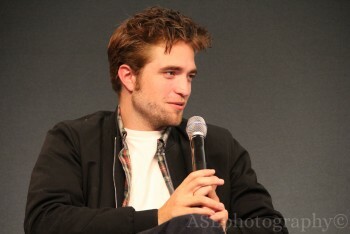 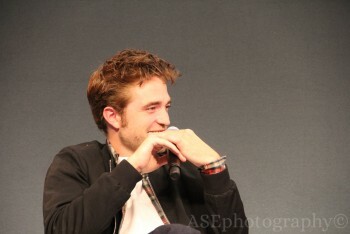 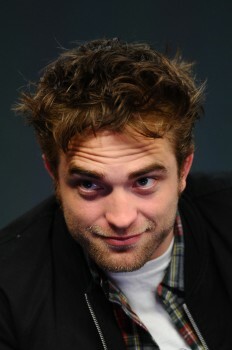 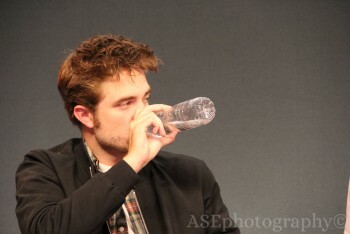 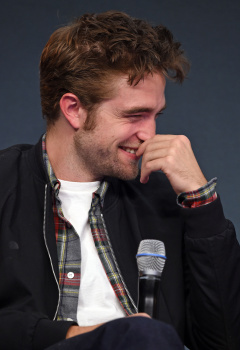 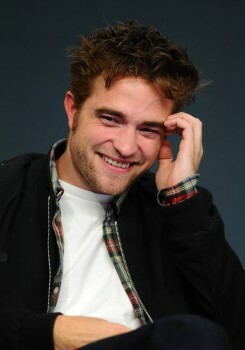 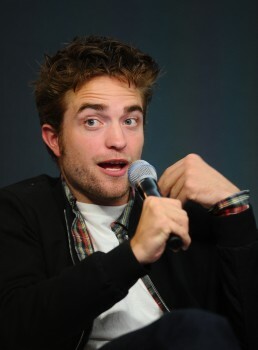 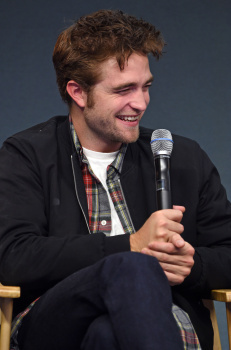 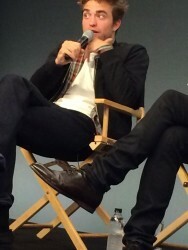 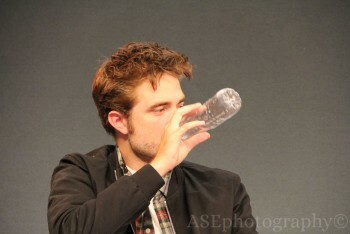 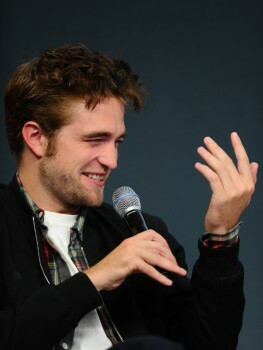 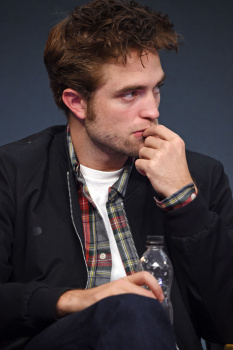 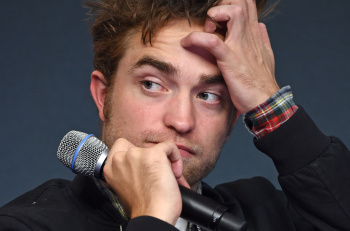 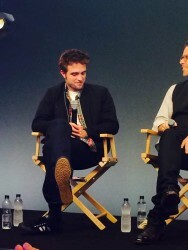 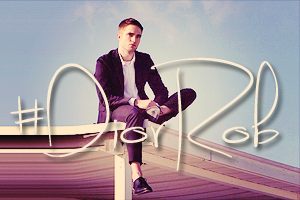 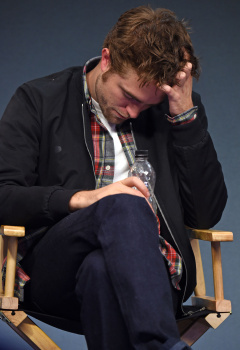 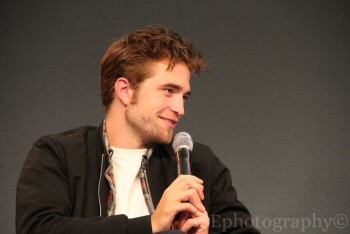 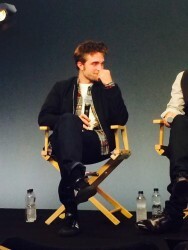 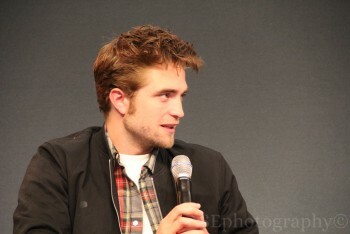 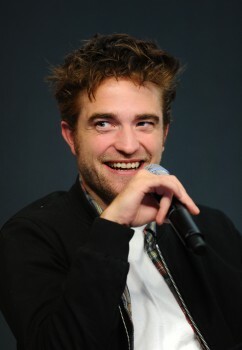 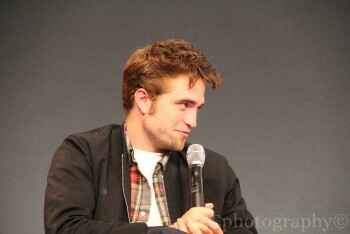 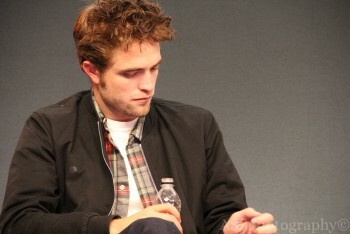 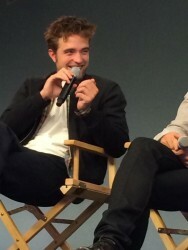 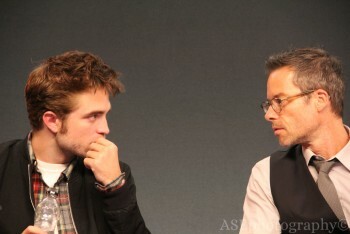 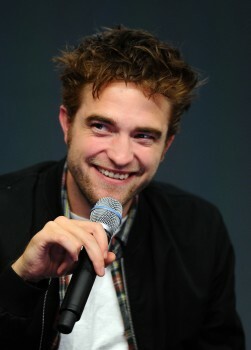 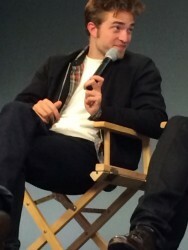 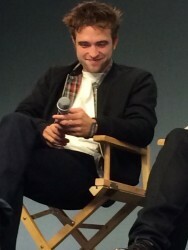 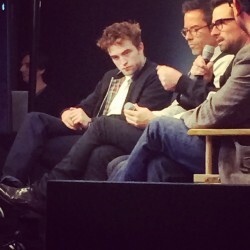 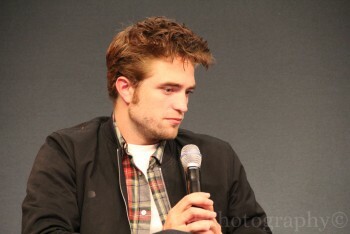 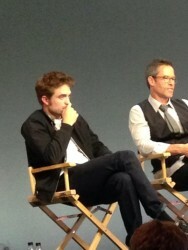 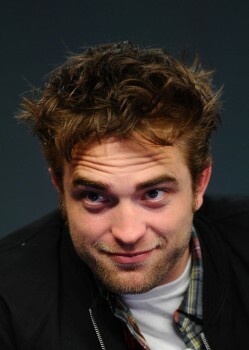 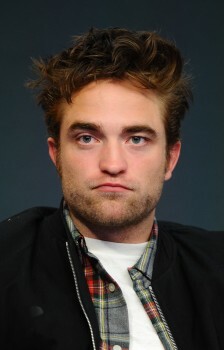 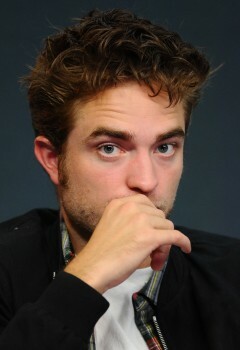 Rob seems a bit jetlagged, hope he gets a chance to catch up on some zzzzzz. 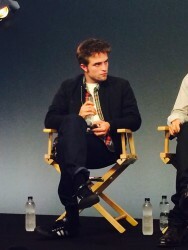 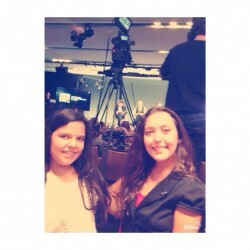 Love watching him do his promo work.